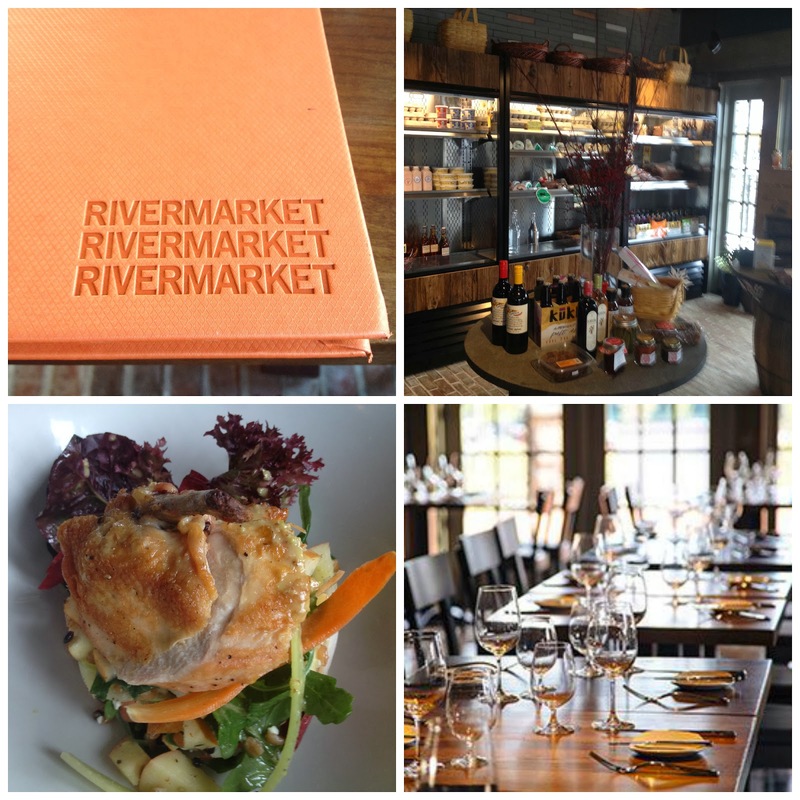 Farm food follows function over at RiverMarket Bar & Kitchen. A thoughtfully detailed interior design reflects the raised and grown organically and sustainably Mediterranean style cooking by Chef John Holzworth, formerly of the Boathouse at Saugatuck. 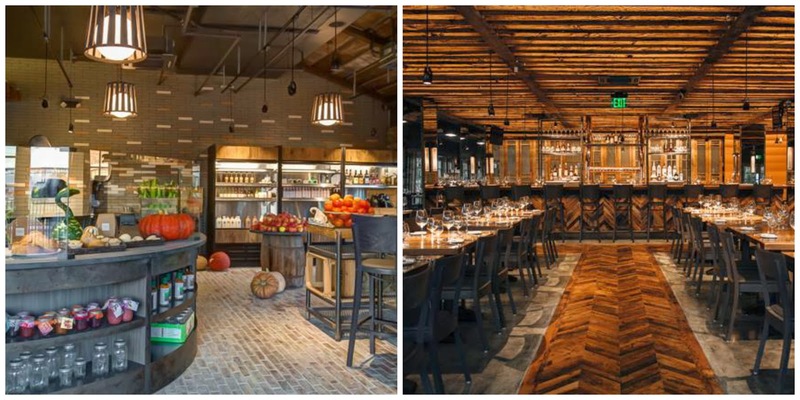 The eco-modern restaurant offers a crafted menu with natural food all coming from Hudson Valley area's best local farms. 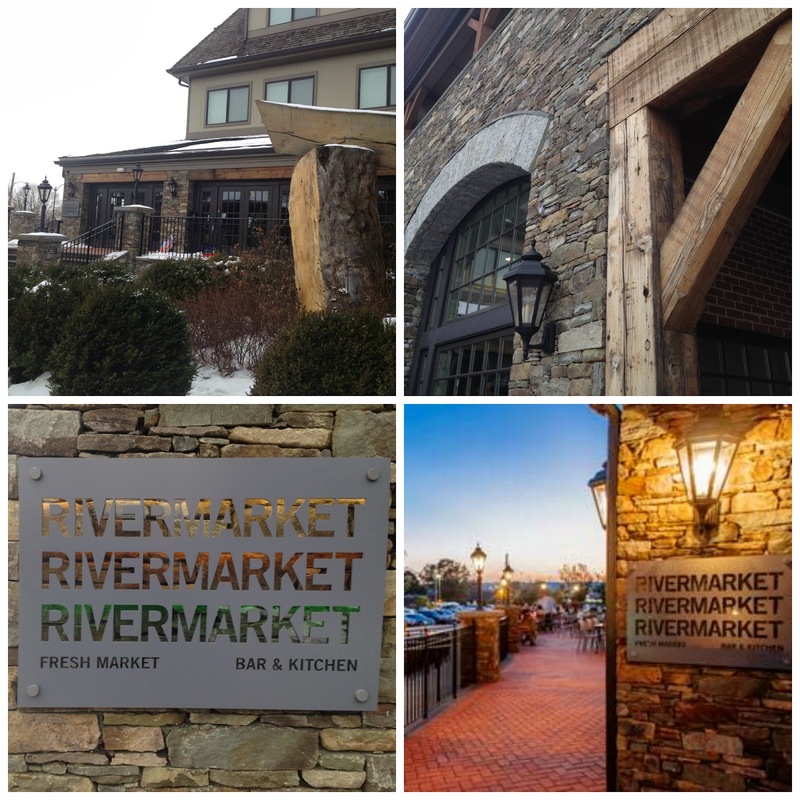 The waterfront over in Tarrytown, N.Y. has been getting a facelift with new buildings and RiverMarket is nestled right in the heart of this new jewel area holding a housing development, a park and Riverwalk trail along the water. Its quite charming and beautiful. Owners John Crabtree and Glenn Vogt, also managing director, hired Connecticut designer Christian Arkay Leliever to design the interiors. Stocked with history, you would never know that this was a newly designed space....its chic design reuses wood, stone and brick in clever and inviting ways. Enter RiverMarket and you are embraced with cheeses, preserves and a bakery counter with breads, muffins and scones. Great for the local community who just want to grab a quick bite or go on a picnic near the water. Walk deeper into the diningroom and your eye moves up, down and all around. ....its a space that tells multiple stories. The herringbone maple flooring came from a two hundred year old factory upstate. Mushroom marks are evident on the repetitive wood slatted ceiling because it came from local mushroom growing crates. Tall folding antique doors from Belgium separate the dining space for more intimate dining. 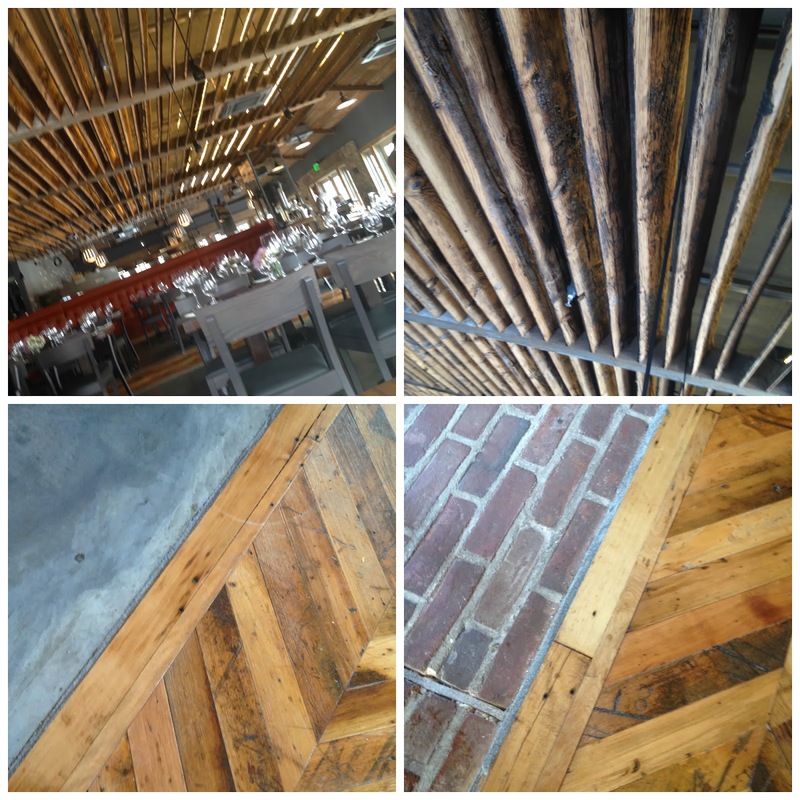 Love the mix of brick, wood and concrete for the flooring as it visually breaks up the dining space into multipe zones. 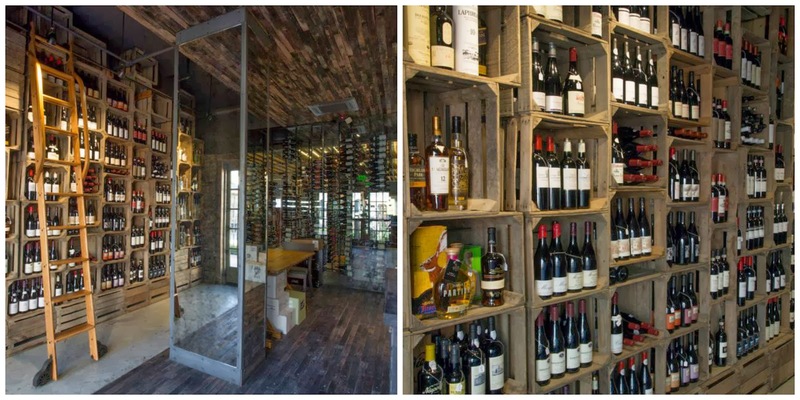 On one of the walls, reused apple crates artistically showcases the bottles in the wine store. The collection is curated by co-owner Glenn Vogt and highlights biodynamic/agricultural production. I had the full farm to table experience for brunch and hope to come back to taste some of the gorgeous wines from Mr. Vogt's collection!!! To get a daily dose of design, follow MoD Design Guru on Facebook.